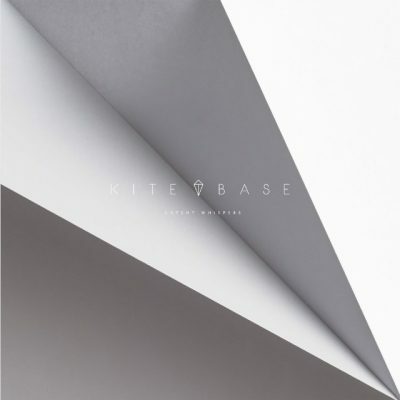 Comprising Ayse Hassan (Savages) and Kendra Frost, Kite Base are a pair of bassists backed by minimalist electronics. The results are something simple and magical as they manage to merge aspects of Joy Division and Trent Reznor’s rough Pretty Hate Machine demos with soaring female vocals. Whereas the likes of A Place To Bury Strangers beautifully build a massive wall of noise to compose behind, Kite Base strip the sonics back and give space to highlight each instrument. The vocals nod toward dreampop, but the instrumentation is firmly grounded in post-punk. One bass plays the traditional time keeper while the other adds color to the mix. Latent Whispers is not an overly polished record—even the electronic drums and keyboard parts have a rawness to them. Be it by luck or by choice, producer Chris Hamilton proves to be the perfect collaborator who allows the band’s rougher edges to define the album’s anti-modern aesthetic without sounding retro for the sake of nostalgia. The uncluttered mix feels like it could have been recorded in 1979 or 2017 and fits comfortably aside its contemporaries. It sounds alive, full of swagger and timeless. Still, what makes Latent Whispers particularly unique is its lyrical content. “Transition” is about using the past to inform change. “Erase,” despite its aggressive programming, isn’t about eradicating the past as much as it is about embracing what comes next. “Soothe” isn’t a cry for help; it is the sound of a person determined to rise above whatever conflict pins them down. The entire record is graced with the sort of optimism that isn’t typically associated with alternative music. You’ll often find happy-sounding songs with depressing lyrics (just peruse the back catalog of New Order or Depeche Mode), but you rarely get it the other way around. Where their influences would be looking to the past, Kite Base turn their gaze to the horizon and the possibilities that await. It’s a viewpoint traditionally reserved for sugar-coated pop songs. Happiness juxtaposed with fuzzy basslines? It shouldn’t work, but somehow, Hassan and Frost have managed to do just that for the bulk of the album. Not that everything is unicorns and rainbows. “Dadum” is more experimental in structure with lyrics that feel more about the sound of the words than an actual narrative. “Blueprint” finds Frost seeing someone for who they really are, and “Peripheral Vision” is about pushing an unwanted presence out. I could complain that the group’s fantastic cover of Nine Inch Nails’ “Something I Can Never Have” wasn’t included, but lyrically, it would feel completely out of place. Even the gloomy arrangement, which is built upon looped vocals, feels too cold for inclusion. Admittedly, I feel more connected to Reznor’s despair than I do to the positivity that Kite Base exude, but they package their optimism in a grittiness that makes it easy to swallow.